Thanks to its early associations with dark net drug markets, there’s always been a whiff of the unseemly around Bitcoin and cryptocurrency. Shibuya, Tokyo–based exchange Mt. Gox, which at one point handled nearly 70 percent of all Bitcoin transactions, declared bankruptcy in 2014 after about $450 million of Bitcoin was lost due to some combination of theft, fraud, and mismanagement. And tales of garden variety Bitcoin and other cryptocurrency schemes are so commonplace they rarely make the national news — the digital equivalent of someone knocking over a local liquor store. Unsavory? Yep. Illegal? Sure. Newsworthy? Not so much. Still, amid all that, BitConnect has always stood out as particularly sketchy. Run anonymously, the cryptocurrency lending and exchange platform has been accused for nearly a year of being little more than a Ponzi scheme, thanks in part to its multilevel marketing structure. BitConnect would both “loan” you a certain amount of its own cryptocurrency, known as BCC, as well as give you a bonus if you could find more people who also wanted loans from BitConnect. In other words, the more people you got to sign up for BitConnect, the more BCC you got. Think of it like HerbaLife, but for cryptocurrency. Still, while many were openly calling BitConnect a scam for months, the site seemed to be going along swimmingly until the sudden downturn in the cryptocurrency market, which saw most major currencies lose around 20 percent of their average value. Ponzi schemes work great when money is coming in, but tend to fall apart when that same money wants to leave. In a post to its website late Tuesday evening, BitConnect said it would be shutting down, writing in a blog post that “continuous bad press,” two cease-and-desist letters from both Texas’s and North Carolina’s boards of securities, and DDoS attacks on the platform had led the site to decide to discontinue service. 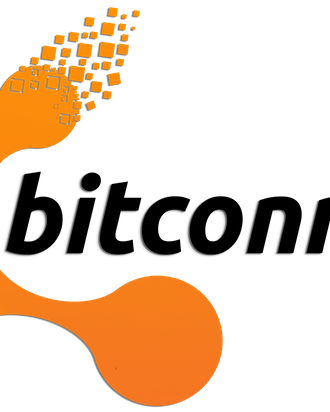 Despite this, BitConnect says it plans to move forward with an initial coin offering (ICO). “This is not the end of this community,” wrote whomever is behind BitConnect, “but we are closing some of the services on the website platform and we will continue offering other cryptocurrency services in the future. How much enthusiasm the site will find for its ICO remains a very open question.